Gorham, NY (March 24, 2019) – Around 7:00 a.m. today, police arrested one individual following a drunk driving crash. Ontario County sheriffs were called to the scene of the crash. The driver was quickly identified as 38-year-old Joshua Lyons. Lyons had been driving northbound on Route 247 when he was involved in the accident, before leaving the road, entering a ditch, and crashing into a utility pole. Lyons was subsequently ejected from the vehicle. Mercy Flight transported Lyons to the hospital with a variety of injuries to the back, arms, and legs. Lyons’ vehicle was allegedly destroyed in the accident. He has since been charged with driving while intoxicated and ticketed for failure to keep right and not wearing a seatbelt. Police continue to investigate at this time. First and foremost, we would like to take a moment to offer our heartfelt prayers and sympathies to those involved in this accident, and we wish Lyons a complete recovery, despite his reckless behavior. These accidents happen more frequently than many others on our roads and tend to cause the most harm, according to statistics taken on New York accidents every year. 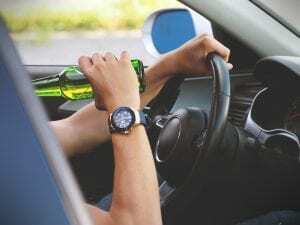 Many people do not understand that there are many consequences when they make the decision to get behind the wheel of their car and drive drunk. Our New York car accident attorneys can assist you if you have been injured at the hands of a negligent party. Our accident attorneys at Hach & Rose are adamant about offering their support to you during your time of need. If you have been injured in an accident that you know is not your fault, we want to extend a helping hand to you when you need it most. Our kindhearted and well-informed accident attorneys pride themselves on easing this difficult process for you. Please contact us at 212-779-0057 to find out what we can do for you.